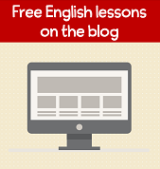 Every noun is either a common or proper noun. Fortunately, it's not difficult to tell the difference between them. It's important to know the difference because we need to CAPITALIZE proper nouns in English. Let's review both of these types of nouns. 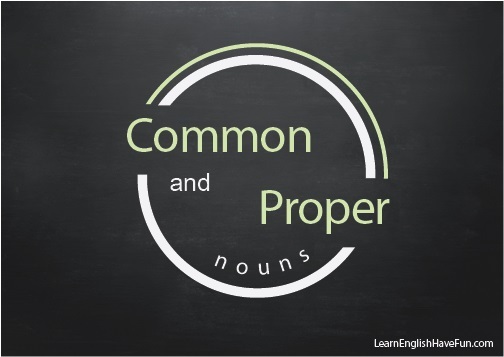 Common nouns name general people, places, things, animals and ideas. Some examples: table, chair, school, store, war, week, dog, communism. School starts at 9:00 in the morning. In contrast, proper nouns name specific people, places, things, animals and ideas. Can you clearly see now how common nouns are general and proper nouns describe something specific? As you can see on the list, many of the proper nouns have more than one word. All of the words together represent one proper noun. For example, the words -- Pacific Ocean -- together describe one specific ocean. There is a gigantic monument dedicated to President Washington. I am studying at the local university.